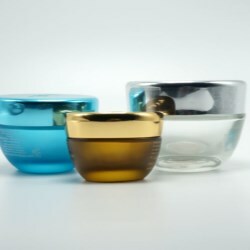 Different styles and sizes of jar in plastic PP, PETG, PET, SAN, ACRYLIC material made by injection process, the final apperance will impress you after decorated with metalization, sillk-screen printing and hotstamping. 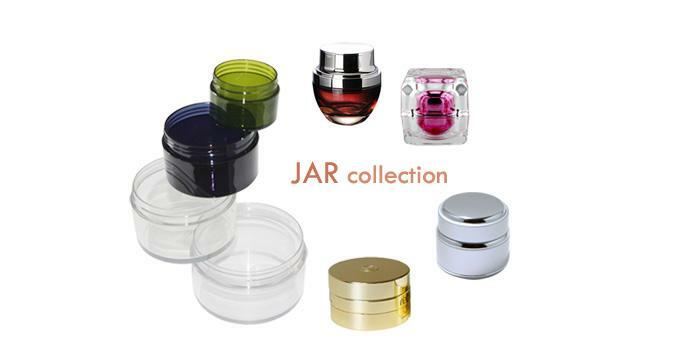 Aluminum jar with lid, is a featured product from us, we have single wall and double wall for optional, double wall jar combined with aluminum and glass or plastic material, the aluminum cover with anodized color,also brushed texture, embossing or debossing logo for your private label beauty products. Glass jar for cosmetics and skincare product is a must-have product, high transparency and heavy weight bring consumer better touch feeling, it can be clear, frosted, coating, even coating with different options. Bottle cap, lids and closures at different style and full sizes for selection, screw-on & disc top & flip top caps at various material like plastic, metal, wooden, which can be customized with your favourite color and appearance.